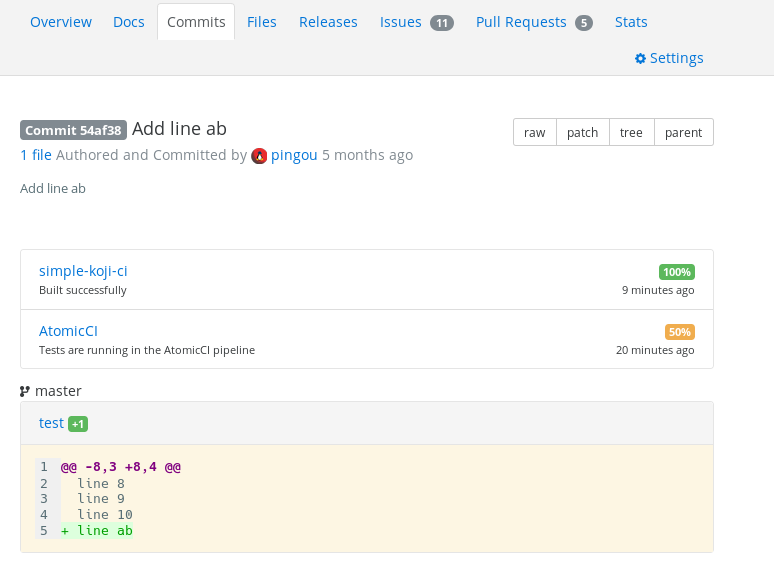 Pagure offers the possibility to flag pull-requests and commits. A flag is a way for a third-party tool to provide feedback on a pull-request or a commit. This feedback can be as simple as the outcome of running the tests, or some lint tool, or test coverage evolution. Flags can be set via the API, see the /api/ URL in your pagure instance or at pagure.io/api/ and look for the endpoints with the titles: Flag a commit or Flag a pull-request. uid: the API endpoints to add flag have an optional UID argument. 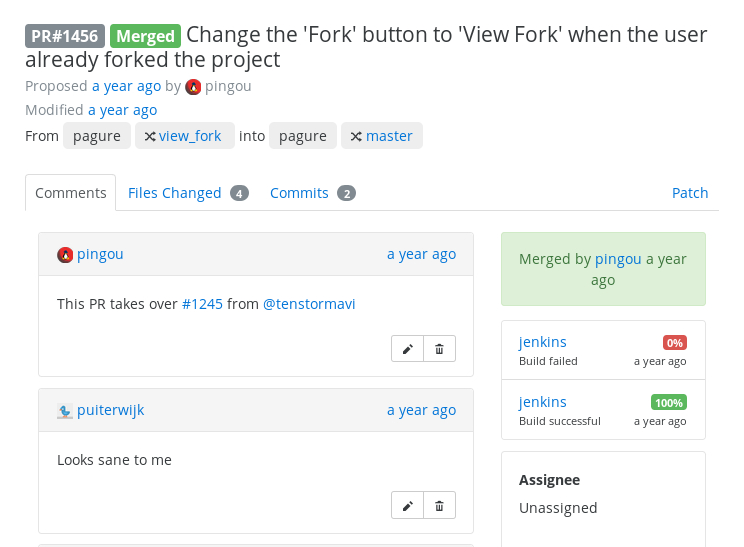 It is a unique identifier (of maximum 32 characters) that is unique the commit or pull-request that is being/has been flagged. If it is not specified by the user/tool adding the flag, it will be automatically generated and in either case, will be returned in the JSON data returned by the API endpoints. Note that this is the only time you would be able to retrieve this identifier if you do not specify it yourself. success: the task ended successfully. canceled: the task was canceled. failure: the task ended but failed. error: the task did not end at all. percent: this is an optional field which allows to provide some more details about the outcome of the task. For example this could be used for test coverage, or the number of test that failed/passed. username: the name of the system running the tests. While not being restricted in length, a shorter name will render better in the interface. comment: a free text form not restricted in length (however, here as well if the comment is too long it may render off in the interface). url: the URL the flag is linked to and where the user should be able to retrieve more information about the task and its outcome. © Copyright 2015, Red Hat Inc, Pierre-Yves Chibon <pingou@pingoured.fr>. Created using Sphinx 1.7.6.